Cheeseburgers are great. But free cheeseburgers are even better, and that's exactly what you can get -- if you're in the right place at the right time next Wednesday, July 15th, in Manhattan. We've got you covered with all the right places and all the right times to catch the Wahlburgers truck. You're welcome. 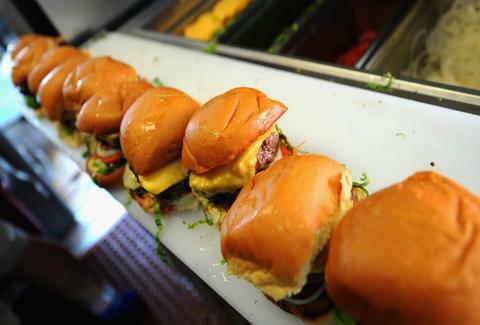 From 11am to 6pm, Wahlburgers will be handing out its signature "Our Burger," which comes topped with Paul Wahlberg's wahl sauce, dill pickles, cheese, lettuce, tomato, and onion. However, we've been told not expect any of the Wahlberg brothers or the Funky Bunch to be slinging greasy goods this time around. They're probably busy working on their massive Coney Island burger joint. Although, the Funky Bunch probably aren't up to anything. 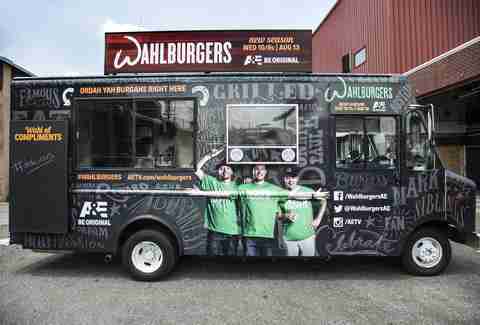 The free cheeseburgers come as A&E promotes the Season 4 premiere of the chain's eponymous reality show, "Wahlburgers," which airs Wednesday night at 9:30 ET. The network is also encouraging New Yorkers to submit photos with the truck using #WahlburgersSweepstakes and will give one lucky Instagramer a Wahlburgers viewing party catering package. Because who doesn't want a selfie with a burger truck? Tony Merevick is Cities News Editor at Thrillist and feels like everything tastes better when it's free. Send news tips to news@thrillist.com and follow him on Twitter @tonymerevick.